A blockage in the pancreatic duct caused by a tumour or removal of part of the pancreas during surgery, can cause a change in the flow and amount of pancreatic juice. Pancreatic juice contains enzymes that help the body to digest and absorb nutrients such as fat, carbohydrate and protein. Without digestive enzymes, food passes through the digestive system without being broken down and absorbed. This is known as malabsorption. 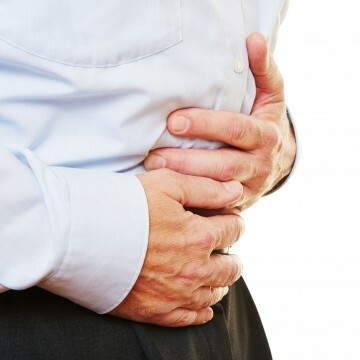 What are the signs of malabsorption? Pale stools are a sign that there is fat in them. They also may be very smelly and difficult to flush away. Bowel movements may also be more frequent and looser than normal. Bloating and abdominal pain after eating can be a result of starchy carbohydrates (bread, cereal, pasta and potatoes) not being absorbed. Weaker muscles and loss of weight. A lot of flatulence (wind). What can help control the symptoms of malabsorption? If your dietitian thinks you may be suffering from malabsorption, they will usually prescribe pancreatic enzyme supplements to help you break down food and start to absorb the nutrients again.